A great brunch recipe is a treasure. And this is one. I love this dish! 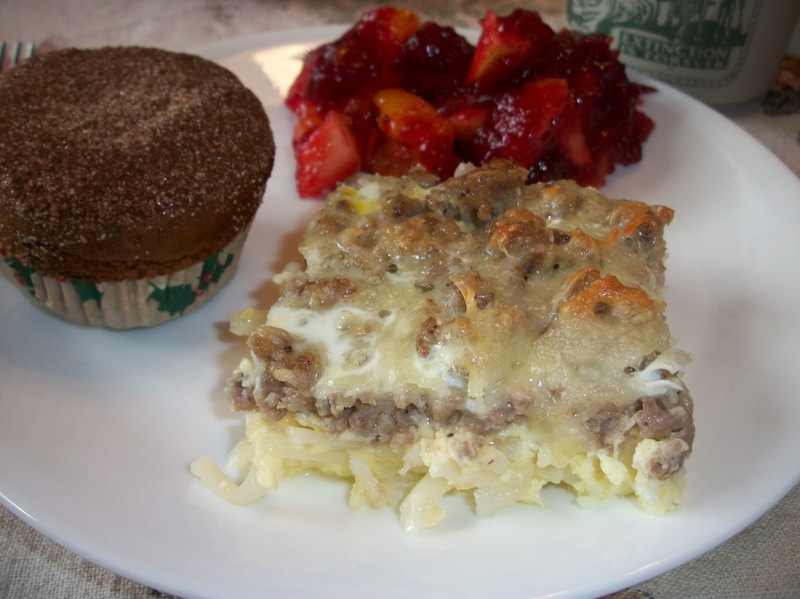 Full of potatoes, eggs and sausage with a little red pepper thrown in for color - it's the perfect holiday breakfast, or supper! 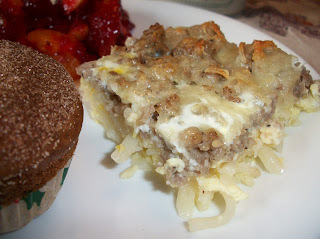 I served this with cranberry salad and gingerbread muffins and it was a wonderful combination. Liven up your holiday breakfast or brunch (or supper!) with this great dish and the high praise will start rolling in! Get more great ideas at Inspiration Monday, Mix it Up. In a large skillet, cook sausage, onion and red pepper over medium heat until sausage is cooked through and vegetables are tender. Remove meat and vegetables with a slotted spatula and then drain all but 1 Tbsp. fat. Return skillet to the heat and add hash browns to skillet. Cook until lightly browned. Place hash browns in bottom of lightly greased 9x13 inch pan. 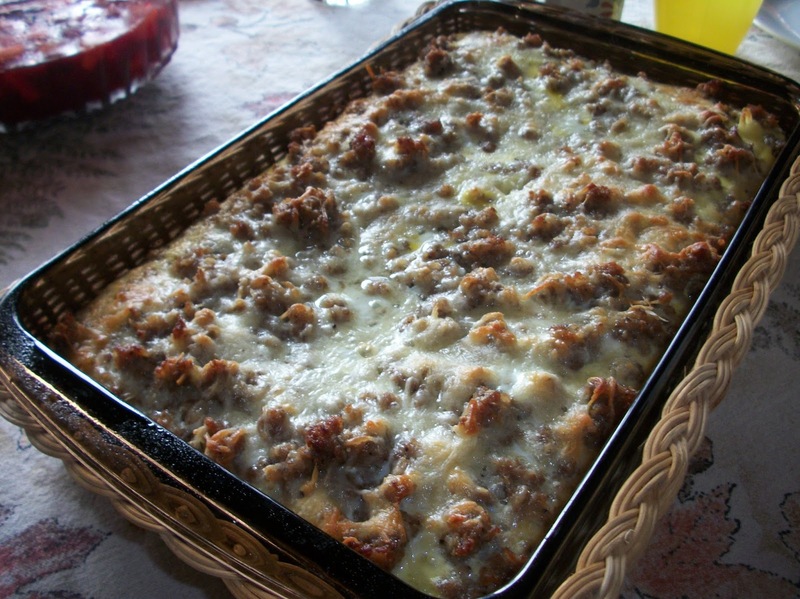 Top with sausage mixture and sprinkle with cheese. Bake at 350 for 35-40 minutes. Let stand for 5 minutes before serving. Serves 8-10.